In a showcase of economic solidarity and a sign of further consolidating their ties, Russian President Vladimir Putin announced on Monday the opening of his country’s market to Turkish “partners” during a joint press conference with his counterpart Tayyip Erdogan. Putin also announced the lifting of sanctions placed on Turkish agriculture products. He also said that Russia is going to export natural gas to Turkey at lower prices. 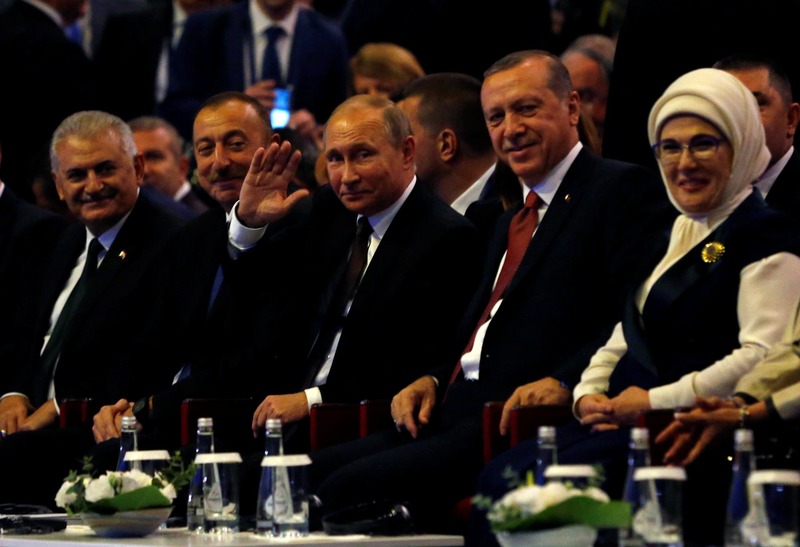 Putin’s visit to Word Energy Congress taking place in Turkey, comes on the backdrop of both Ankara and Moscow trying to normalize ties that were strained last year by Turkey’s downing of a Russian warplane near the border with Syria. Russia had responded by deploying long-range air defense missiles at its air base in Syria, and imposing an array of economic sanctions on Turkey. Relations warmed after Erdogan apologized in June. Differences remain on Syria. While Moscow has backed Syrian President Bashar Assad throughout the nation’s civil war and further bolstered that support by launching an air campaign last September, Turkey has pushed for Assad's removal and helped his foes. Before their joint press conference, the two leaders on Monday voiced support for the construction of a gas pipeline, a plan that was suspended amid tensions between the two countries. They said their countries wanted to press ahead with the Turkish Stream or TurkStream project. The pipeline would carry Russian natural gas to Turkey and on to European Union countries. 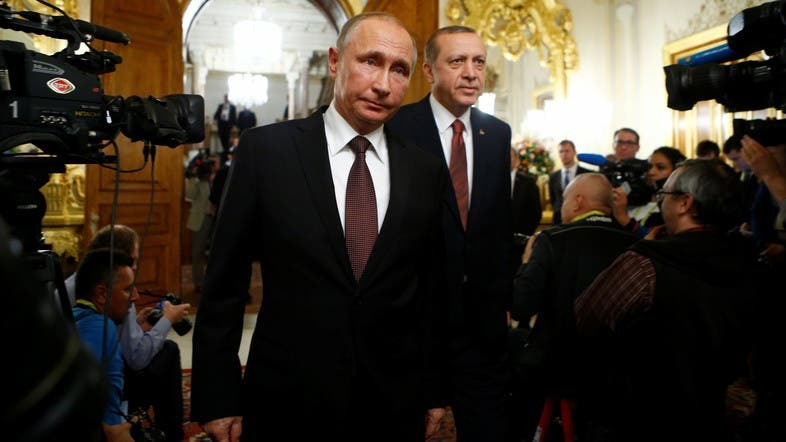 Putin had first suggested the Turkish Stream project to carry gas beneath the Black Sea into Turkey in 2014, when a pipeline project to Bulgaria fell through amid EU countries’ opposition. Russia is also building Turkey’s first nuclear power station. Meanwhile, Erdogan said Turkey consolidating its ties with Russia is taking place “rapidly” and that the TurkStream and nuclear power deals with Russia are going to be expedited. Speaking at the joint news conference in Istanbul after signing the agreement on TurkStream with Putin, Erdogan said time lost on the Akkuyu project would be made up. In 2013, Rosatom won a $20 billion contract to build four reactors in what was to become Turkey’s first nuclear plant, but construction was halted after Turkey shot down the Russian jet. On Syria, Putin, meanwhile, said he agreed to allow aid to enter the divided Syrian city of Aleppo. Meanwhile, Turkey and Russia will establish a joint investment fund with capital of $1 billion, Turkish Economy Minister Nihat Zeybekci was reported as saying by state-run Anadolu Agency.